Swinburne’s Vice-Chancellor, Linda Kristjanson unpacks the consequences of the biggest changes to higher education in decades. She says that the greatest hazard is that proposed changes to higher education policy are being driven back-to-front, propelled by budget imperatives, rather than looking at what a coherent, future-oriented suite of higher education policies would deliver. There is something incongruous about the idea that we can only have a higher education system which is the “best in the world” by reducing core public funding. Australian higher education is already the envy of most other countries, many of whom have been sending their children abroad to be educated here long before countries such as the United States and the United Kingdom jumped onto the international education bandwagon. If we do not consciously ground changes to higher education policy in core principles (access, equity, affordability and quality among them) with careful attention to the links between policy settings (price settings, loan conditions and the contribution of enabling programs), we run the risk of dismantling our knowledge infrastructure. It will surprise many to see how quickly and how far some universities raise their prices if fees are completely deregulated. Higher education is one of those rare markets where price is a signal for quality. It is difficult to buy the argument that a new army of niche private providers offering cheap degrees will cause a handful of universities at the top end to exercise restraint in the way they set prices. People out shopping for a car are rarely tossing up between a BMW on the one hand or a Hyundai on the other. When Kia is having a sale, Mercedes Benz prices do not move. Few countries have gone from regulated pricing to complete fee flexibility in one fell swoop. Countries that have tried this, including New Zealand, have rapidly re-imposed price caps because of the rampant and unpalatable price escalation that ensued. A cap on price would be a responsible feature of any such change, providing more stability and certainty both for universities and students than the current proposal. We must also ensure that any new rules don’t inadvertently cause hardship to students and graduates. The removal of the lifetime borrowing limit for HELP debt is a backward step. No bank would provide someone with unlimited credit. Why should taxpayers? Removing this lifetime borrowing limit will only encourage some universities to set even higher fees. 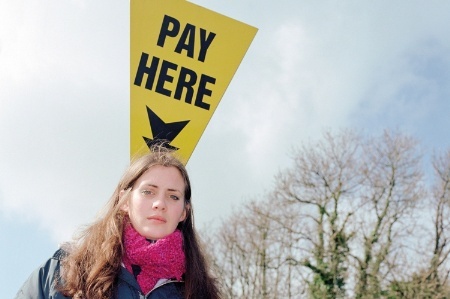 The burden of debt is a deterrent to many who will be unable to consider a tertiary education, others will find themselves in a deep quagmire of financial liability, and some will never be able to repay their loans because their promised earning potential never materialise for one reason or another. Women are particularly at risk here. There are too many examples from the United States of young people who graduate with such large debts that their capacity to take on other commitments, including buying a house, is seriously diminished. There are other options that have yet to be explored, including the idea of a maximum HELP balance, rather than a lifetime limit, which would provide Australians with greater flexibility to draw on assistance over the course of their lives as their circumstances required it. A competitive Australia requires an investment in knowledge infrastructure. It is time to pause and re-visit the core principles of a sustainable, future-oriented higher education system if we are to retain our reputation for quality education that is affordable both for taxpayers and for students. This article first appeared in the Australian Financial Review.